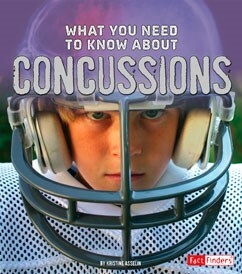 Concussions are a common injury due to their frequency in contact sports. But the more you know about the causes, symptoms, and treatment of concussions, the better equipped you are to understand this condition. Clear, concise information breaks down the injury, the experience of having a concussion or relating to someone who has cancer. Be inspired by true stories from youths who have experienced concussions in their own lives and and how they battled the condition. Crusty pink scabs. Explosive diarrhea. Black, swollen bumps. These symptoms aren’t just the stuff of gross out stories and horror movies. 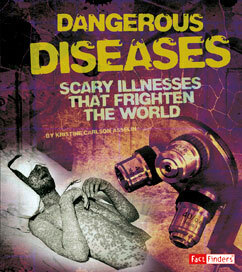 They are real symptoms, caused by real diseases. And some people are suffering from them right now. 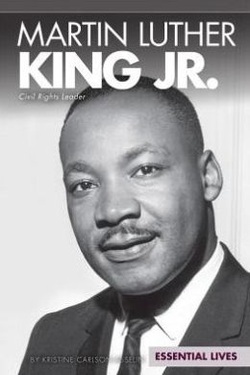 This biography examines the remarkable life of Martin Luther King Jr. using easy-to-read, compelling text. Through striking black-and-white images and rich color photographs and informative sidebars, readers will learn about King’s family background, childhood, education, and inspirational work as a leader of the civil rights movement in the United States. Informative sidebars enhance and support the text. 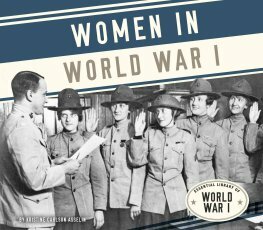 Features include a table of contents, timeline, facts page, glossary, bibliography, and an index. Aligned to Common Core Standards and correlated to state standards. 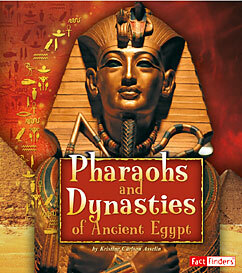 Essential Library is an imprint of ABDO Publishing Company. Researching and writing can be fun. But how do you know you’re quoting and summarizing properly in your written work? Discover how to understand public domain, how to cite a source, and how to use someone else’s words appropriately in your papers and projects. How did the Earth form? Why is it dark at night? Why do people get sick? Ancient Egyptians used myths to describe things they couldn't explain. 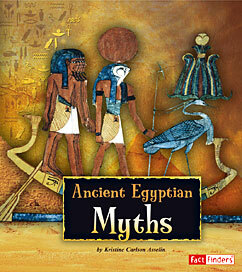 Discover how Egyptians used myths to make sense of their world. 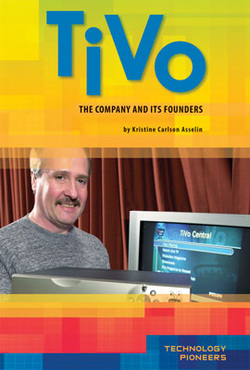 This title examines the remarkable lives of Mike Ramsay and Jim Barton and their work building the company TiVo. Readers will learn about each founder’s background and education, as well as his early career. Also covered is a look at how TiVo operates, issues the company faces, its successes, and its impact on society. Color photos and informative sidebars accompany easy-to-read, compelling text. Features include a timeline, facts, additional resources, Web sites, a glossary, a bibliography, and an index. Technology Pioneers is a series in Essential Library, an imprint of ABDO Publishing Company. Travel back to a time when: Canon balls were the only weapons of mass destruction. An arrow was more accurate than a gun. 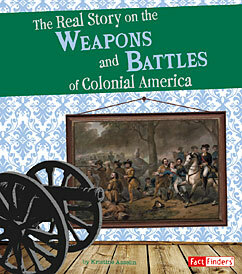 Step into the lives of the colonists, and learn the real story of the weapons and battles of colonial America. Travel back to a time when: A bad practical joke resulted in whippings. Laws that govern everyone are sent from a country far across the ocean. 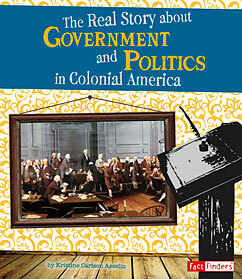 Step into the lives of the colonists, and get the real story of government and politics in Colonial America. Gr 4-6-Clear prose and accessible vocabulary give readers an interesting introduction to life in colonial America. Each volume contains four to five brief chapters, and although most of the information is about white settlers and colonists, facts about Native Americans and African slaves are included. Smatterings of unpleasant and/or gross details (e.g., toad powder as a cure for smallpox, bleeding as a medical cure-all, and the lack of indoor plumbing) that will capture and hold readers' interest are scattered throughout the books. 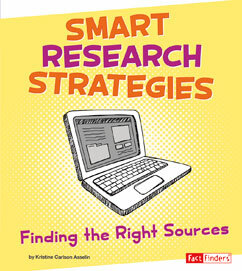 Colorful illustrations, brief primary-source excerpts, and sidebar definitions of glossary terms supplement the texts. Although the large font and brief format limit the amount of background information and details that can be included, this set will attract an audience.--Mary Mueller, Rolla Public Schools, Rolla, MO. Fact Finders: Life in the American Colonies series. Simple page structure and straightforward language make these books accessible to young audiences curious about life during colonial times. Topics such as underwear and witch trials will interest reluctant readers. Photos, illustrations, maps, and accompanying captions enhance understanding. Reading list, websites. Bib., glos., ind. Ancient nomads, Leif Erikson, and Christopher Columbus battle terrible weather, wild animals, and stormy seas as they make their way to a new land. All these players are driven to explore the unfamiliar territory we now call America. But only one player can win the race. 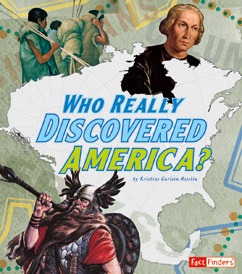 Who really discovered America? 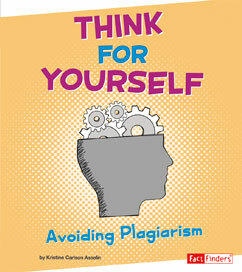 Click here for another review by the Junior Library Guild. From Earth, they look like twinkling lights. In space, they’re burning hot balls of gas. 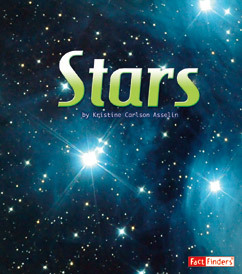 Get up-close to the stars that burn brightly in our solar system and beyond. 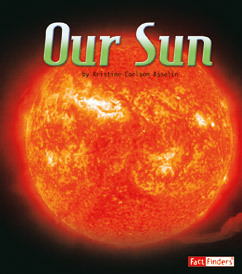 The Sun is fiery ball of gas with scalding temperatures and massive explosions. Get up-close to the star that keeps our solar system spinning. Do your friends call you practical and loyal? 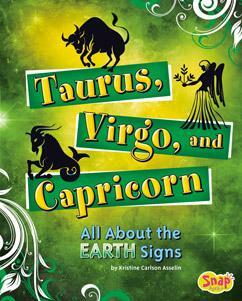 Chances are you just might be a Taurus, Virgo, or Capricorn. Get all the info you need about these earthy signs. From fashion trends to career matches, you’ll find out just what keeps these Earth Signs grounded.